Heat oven to 450°F. Make pie crust as directed on box for One-Crust Baked Shell using 9-inch glass pie pan. Bake 9 to 11 minutes or until lightly browned. Cool completely, about 15 minutes. 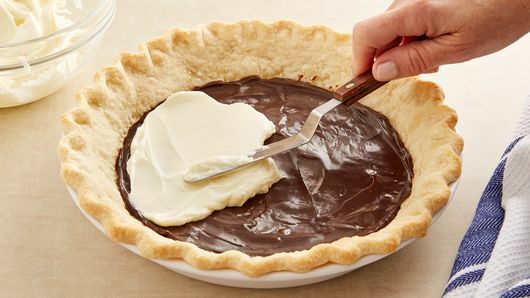 Spread hot fudge topping in bottom of cooled baked shell. Refrigerate 1 hour. In small bowl, beat cream cheese and powdered sugar with electric mixer on medium speed until smooth. 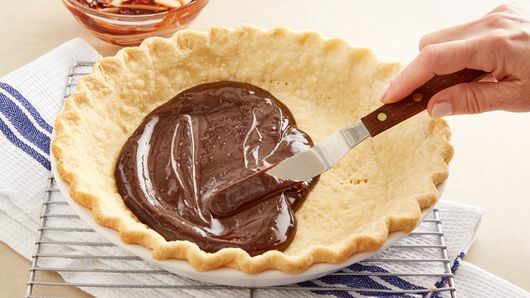 Carefully spread over chocolate layer in shell. 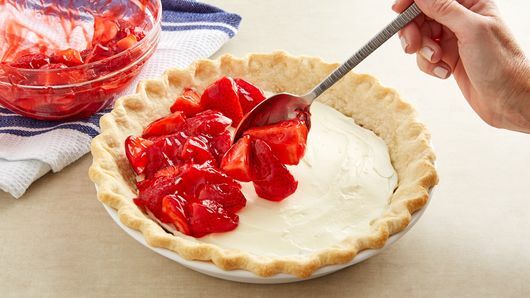 In medium bowl, gently mix strawberries and pie glaze. Spoon evenly over cream cheese layer. Refrigerate until firm, about 1 hour. Just before serving, pipe or spoon whipped cream around edge of pie. Store in refrigerator. Hot fudge topping is much thicker than chocolate-flavor syrup. 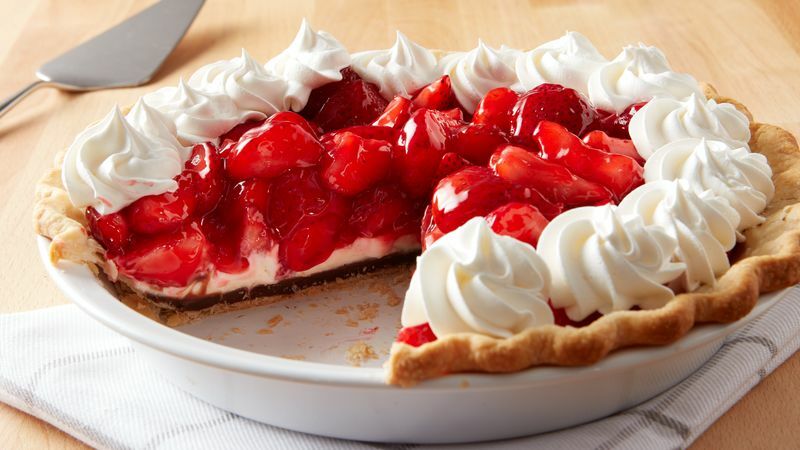 Its thickness helps form the "black bottom" of this layered pie.